Through hard work and dedication, our 1.3 million members help millions of Americans celebrate the special moments in their lives. Our members are also able to earn a better life for their families with the help of valuable contracts that honor their hard work and dedication. By being part of a union family and standing together, our members earn better wages, benefits and schedules. Their training and devotion offer real value to employers and the customers they serve. And when they work on holidays, like Thanksgiving, it is not under threat or duress, but with the realization that such sacrifice deserves something extra, like holiday pay. Sadly, there are those in the political world and corporate America who may see the right to earn a better life, or to spend time with family even on one of our most sacred holidays, as a threat to their businesses. Truth be told, such thinking is a symptom of what is so fundamentally wrong and unfair in America’s economy. Over the last 16 years, as inequality has grown and wages have stagnated, the wealthiest few have become wealthier. At a time when America needs good jobs, it is nonunion companies like Walmart that buy more Chinese goods than any other company in this nation. They even try to fool our elected leaders into thinking they care about creating American jobs. The fact is that millions of hard-working Americans, especially those in retail, endure low wages, schedules that make it impossible to go to school or take care of a family, and the risk that one sickness or injury will send them to financial ruin because of their lack of health benefits. America’s workers and families deserve better. With so much at stake in this election, not voting is simply not an option. Which is why our UFCW union family is helping to ensure everyone who wants to vote on November 8th will be able to. There’s still time to register in many states, but deadlines are approaching quickly. Anyone who wants to register to vote should visit VOTE.ORG or HELLO.VOTE as soon as possible. It only takes one minute to register to vote and you can do it from your phone. Our vote is our voice – let’s use it. By voting, we can raise up the issues that matter the most and secure the better America all of us have earned and deserve. 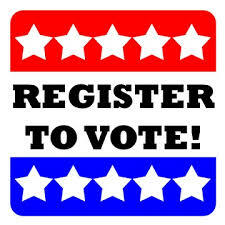 Register today by visiting VOTE.ORG or HELLO.VOTE on your mobile phone. On Sept. 19, Seattle’s City Council passed a historic Secure Scheduling Ordinance by a vote of 9-0. The new scheduling law will require all retail, grocery and food businesses in Seattle with 500 or more employees to provide their employees with their work schedules two weeks in advance and offer existing part-time employees more hours before hiring more workers. The law will also provide workers with a right to request desired shifts, compensation for last minute scheduling changes, and prohibit back-to-back closing and opening shifts. Members of UFCW Local 21 played a big role in the passage of this legislation. UFCW Local 21 members testified at every city council hearing, lobbied their elected officials, made hundreds of phone calls, and participated in numerous actions. Seattle’s Secure Scheduling Ordinance will take effect on July 1, 2017. 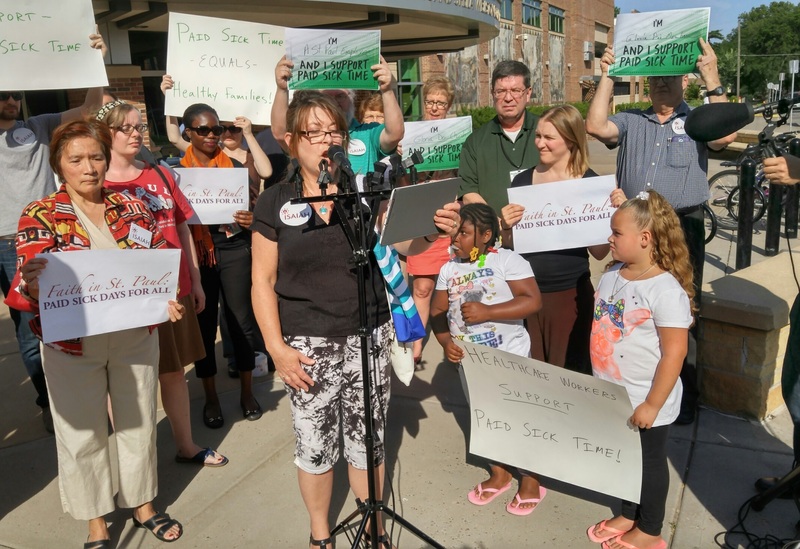 On September 7, the St. Paul City Council passed the Earned Sick and Safe Time Ordinance by a vote of 7-0, joining Minneapolis and dozens of other cities nationwide that mandate earned sick leave. Members of UFCW Local 1189 played a big role in the passage of this legislation. 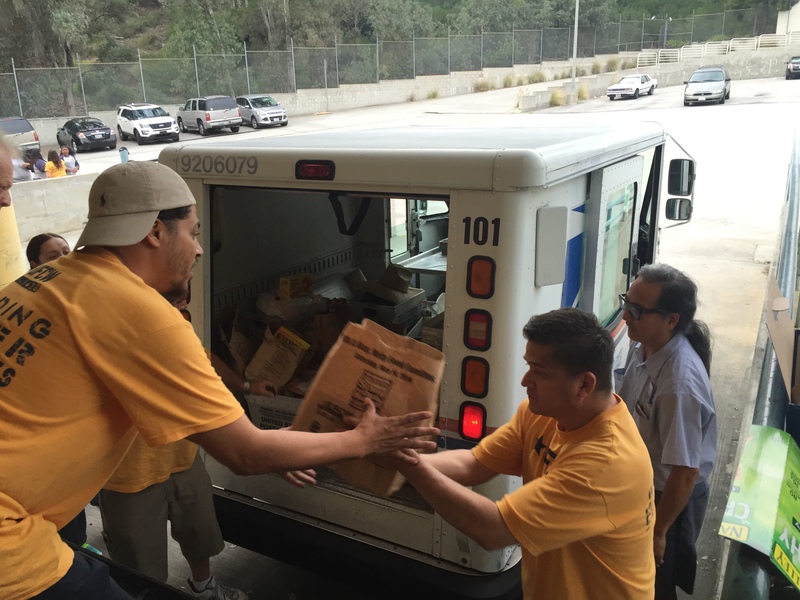 Members of UFCW Local 1189 served on a task force put together by the city council and mayor for a year and worked with a coalition of advocates and other labor groups to raise awareness about this issue. The Earned Sick and Safe Time Ordinance takes effect on July 1, 2017 for businesses in St. Paul with at least 24 employees. Smaller businesses will have to comply by Jan. 1, 2018. On Tuesday, July 21, the District of Columbia City Council passed historic legislation to raise the minimum wage to $15/hour in a major victory for the “Fight For $15” movement. D.C. Mayor Muriel Bowser has pledged to sign the bill, which will make the nation’s capital the third major city to pass a $15 minimum wage, along with Seattle and San Francisco. The $15 hourly wage could impact as many as 114,000 working people in the District, or around 14 percent of the city’s workforce, according to a recent report by the Economic Policy Institute. On July 1st, the city’s minimum wage will increase from $10.50/hour to $11.50/hour under previous legislation championed by Local 400 and others. The new bill will provide annual increases to the minimum wage beginning in 2017 until it reaches $15/hour in 2020. After that, it will be adjusted for inflation each year. Yearly Minimum Wage Increases in Washington, D.C. Pass Just Hours legislation (also known as the Hours and Scheduling Stability Act) to guarantee stable hours and predictable scheduling for men and women working in chain restaurants and retail stores in the District. Pass the Universal Paid Leave Act to help low-wage workers safeguard themselves and their families in the event they are without income for an extended period. “While wage increases are a crucial and necessary step, wages alone are not enough to give every hardworking District resident a fair shot at a better life,” said Local 400 President Mark P. Federici. 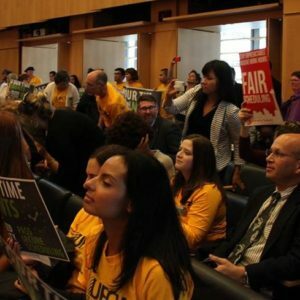 “We look forward to seeing the Council demonstrate this same leadership in passing Just Hours legislation, which will guarantee District workers won’t struggle with too few hours on too short notice, as well as Paid Family Leave, which will bring the U.S. up to speed with other developed nations by providing reasonable accommodations to workers who choose to start a family. Do you live or work in Washington, D.C.? Call the city council at (202) 724-8000 and Mayor Muriel Bowser at (202) 727-2643 and urge them to pass the Hours and Scheduling Stability Act and the Universal Paid Leave Act. For the latest information on each bill, visit dcjusthours.org and dcpaidfamilyleave.org. A 2013 Georgia law that negatively impacted workers all across the Peach State was tossed out by a Judge this week for contradicting federal labor laws. Specifically, the legislation allowed union members to cancel their membership at any time, rather than waiting the usual one-year period. This means that corporations were made to be more powerful as they would be able to easily intimidate workers into leaving their union early. 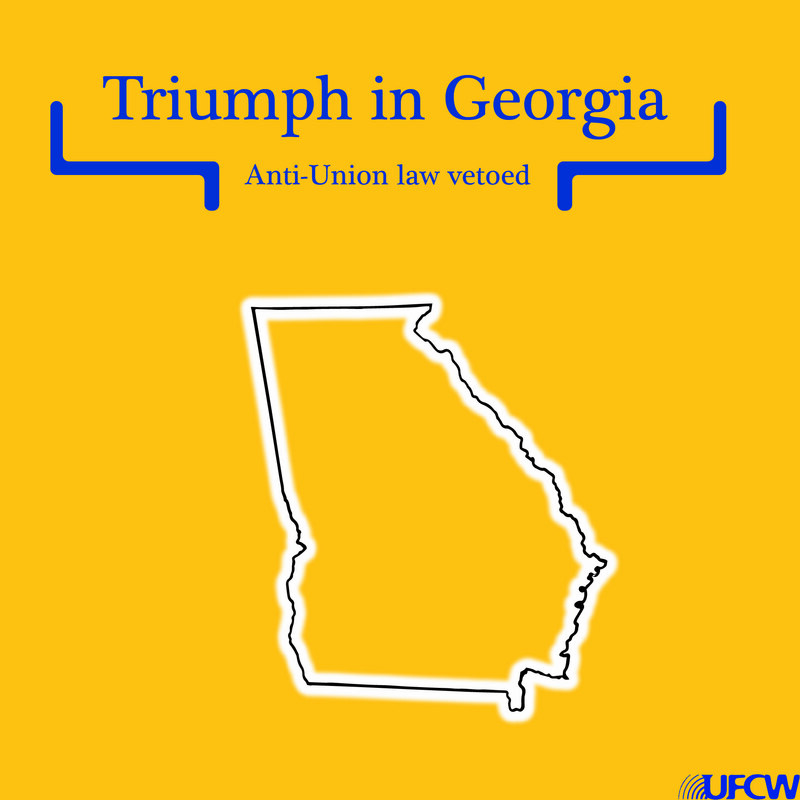 By overturning this law, it will be easier for hard-working families in Georgia to negotiate for better working conditions and wages. Ultimately, more people and communities will now be able to enjoy the financial stability and higher standard of living that comes with being a part of a union.